Napoleon arrived at Châlons on 26 January to begin his 1814 campaign in defence of France. His available forces consisted of 14,747 men of the II Corps and the 5th Cavalry Corps under Marshal Claude Victor, 12,051 troops of the VI Corps and the 1st Cavalry Corps under Marshal Auguste de Marmont and 14,505 guards commanded by Marshal Michel Ney. The so-called French corps were far smaller than they had been in previous campaigns or Coalition ones were in this campaign. Marshal Édouard Mortier, with about 20,000 soldiers, 12,000 of them guardsmen, had retreated from Bar-sur-Aube to Troyes after fighting an indecisive battle with Prince Karl Philip zu Schwarzenberg’s Army of Bohemia. Napoleon intended to attack Prince Gebhard von Blücher’s Army of Silesia before it could link up with the Army of Bohemia, forming a force too big for the French to fight. 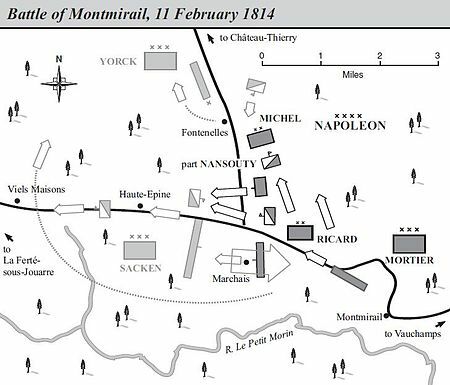 The Emperor’s initial plan was to attack Blücher at St Dizier on 27 January, but a brief action showed that the Army of Bohemia had moved towards Brienne, where Napoleon had attended the military academy. Click here to see maps of the campaign from West Point’s website. 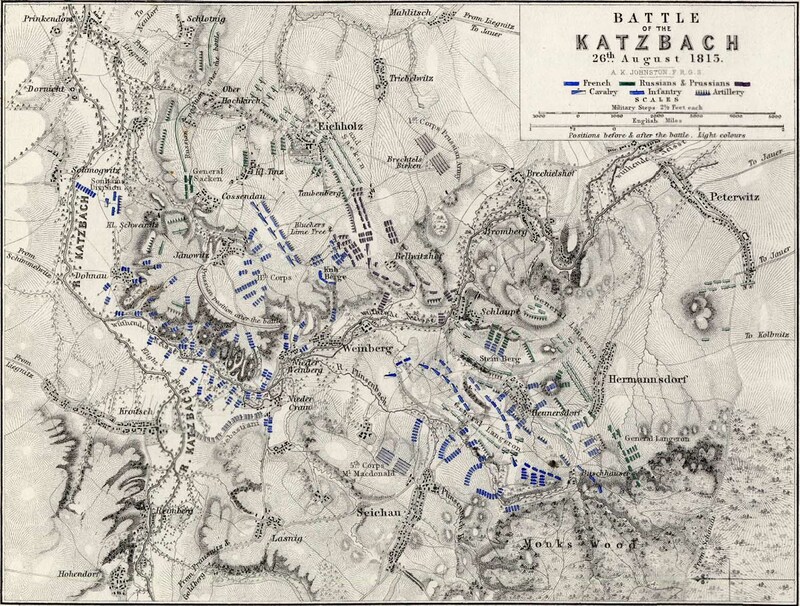 There is a map of the Battle of Brienne on this website. Blücher had about 25,000 men, as General Johan-David-Ludwig Yorck’s corps had become separated from the rest of the army. 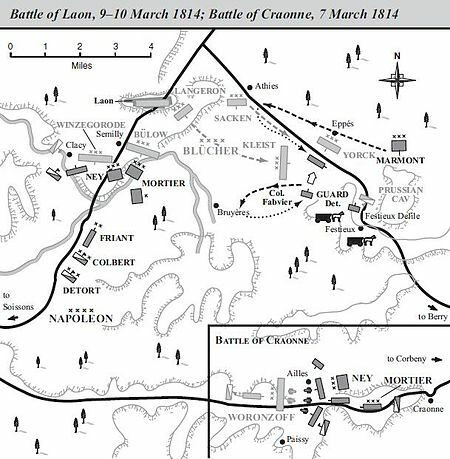 Napoleon decided to attack with Blücher with 34,000 men at Brienne before the two Coalition armies could join up. Marmont would hold off Yorck, and Mortier would move to Arcis-sur-Aube, provided that this did not out Troyes at risk. Blücher believed initially that his opposition was poorly organised, writing on 28 January that ‘nothing more desirable can happen for us’ than an attack by Napoleon. By the next morning, however, he had learnt from captured orders that the French were about to attack the rear of his army and redeployed to face the threat. At first Blücher had only the 6,000 men of Count Zakhar Olsufiev’s corps at Brienne, but he brought up Prince Fabian von Osten-Sacken’s corps and the 3,000 cavalry of General Pavel Pahlen’s advanced guard of Prince Piotr Wittgenstein’s corps of the Army of Silesia at Brienne after receiving the captured despatches. 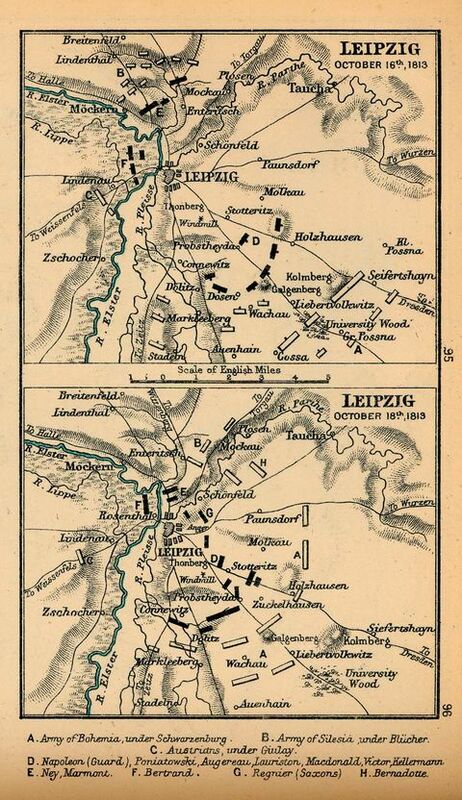 F. Lorraine Petre notes that both sides had to commit their troops ‘piecemeal’, as Napoleon had to attack quickly if he was to win, whilst Blücher’s troops were not all present at the start of the battle. The initial French attacks, by General Emmanuel de Grouchy’s cavalry, went well, but had been beaten back by the time that Napoleon arrived. A fierce battle then followed until well after dark. Napoleon, who led his raw conscripts into battle, was almost captured by Cossacks at one stage. Later Blücher and General August von Gneisenau, his chief of staff were also almost captured by the French. Blücher successfully disengaged around 11 pm. His army lost 4,000 men killed and wounded and the French 3,000. Although the French held the battlefield they could not afford such a close ratio of casualties. The battle also forced the Army of Silesia closer to the Army of Bohemia. Its main benefit to Napoleon was that it boosted the morale of his inexperienced conscripts. F. L. Petre, Napoleon at Bay 1814 (London: John Lane, The Bodley Head, 1914), pp. 17-18. D. Chandler, The Campaigns of Napoleon (London: Weidenfeld & Nicolson, 1966), p. 958. Quoted in Petre, Napoleon at Bay 1814, p. 19. In fact, although the Berezina was the last major action of Napoleon’s Russian Campaign, his army continued to lose men in rearguard actions and to the weather. The temperature was still falling and was recorded as being -30° C (-22° F) on 30 November and -37.5° C (-35.5° F) on 6 December by Dr Louis Lagneau. The Emperor left Marshal Joachim Murat in command. Adam Zamoyski says that he would have preferred to appoint Prince Eugène but feared that Murat would mutiny if put under Eugène’s command. Chandler argues that Murat was more suited to pursuing a defeated enemy than to carrying out a retreat. He attributes Napoleon’s decision to appoint Murat instead of Eugène to the influence of Marshal Louis Berthier, his chief of staff. Russian casualties were 150,000 killed and at least twice as many wounded or frost bitten. Chandler says that the impact of the campaign on Russian civilians cannot be calculated. Click here for a link to a graphic created by Charles Minard in 1869. It shows the routes taken by the Grande Armée to and from Moscow, with the thickness of the lines indicating its strength at each point. This is then compared with the temperatures throughout the campaign, shown in the chart at the bottom. The temperature is given in Reamurs. Multiply by 1.25 to obtain the temperature in Celsius. The next and final post on this campaign will discuss why it failed.